I’ve made up this little room in the house from Scarlet Creative at Collabor88, from items that are only at Collabor88 for the “My Love” round. I started with the collaboration between Apple Fall and Junk and began placing other things out and around them. Apple Fall and Junk’s collaboration is lovely. They pair together so well and I had a hard time figuring out who made what until I looked. Mish Mish paired up with Dust Bunny and made these cute little suitcases which you can choose which gender’s you’d like in them. Pilot got together with Jim and made Candlesticks and art, Seven made some odds and ends like this guitar, the clock and the Jesus sign. Floorplan and Consignment paired up with make some cozy chairs, a lit plant, a rug and the radiator bookcase. Second Spaces made the armoire in the photo as well as the heart print and Theosophy made the mirror. Collabor88 opened it’s doors yesterday with one of the most unique themed rounds yet – Unicorns! There are unicorn horns, themed skins, jewelry, furniture, clothes, shoes and much more! This horn and tail set by Half Deer kind of made my day though. Glam Affair made some pretty Sia skin, and my necklace and bracelet are from the Sugar Garden. The hair that I have on is from Tableau Vivant. The outfit I’m wearing is from Sweet Thing, the shoes are from Violent Seduction. The little unicorns are from Mish Mish and the chair is from Flowey. There are new releases all over the place! The first place I stopped was the Kawaii Project (you can see the gallery of everything here: http://seraphimsl.com/category/recurring-salesevents/kawaii-project-the/) and I’m wearing this dress from Mish Mish. This dress is so cute, and reminds me of a dress I had when I was younger. There are also other colors and even some with foxes on them. I also have on from Collabor88 these new boots from Fri.day, and my little fox companion is from Mish Mish. My jewelry is from Cae at the Liaison Collaborative (the full gallery for the Liaison Collaborative is here: http://seraphimsl.com/2014/11/15/winter-is-at-the-liaison-collaborative/) My hair is from Truth and my poses are from !bang. Have a happy Tuesday! 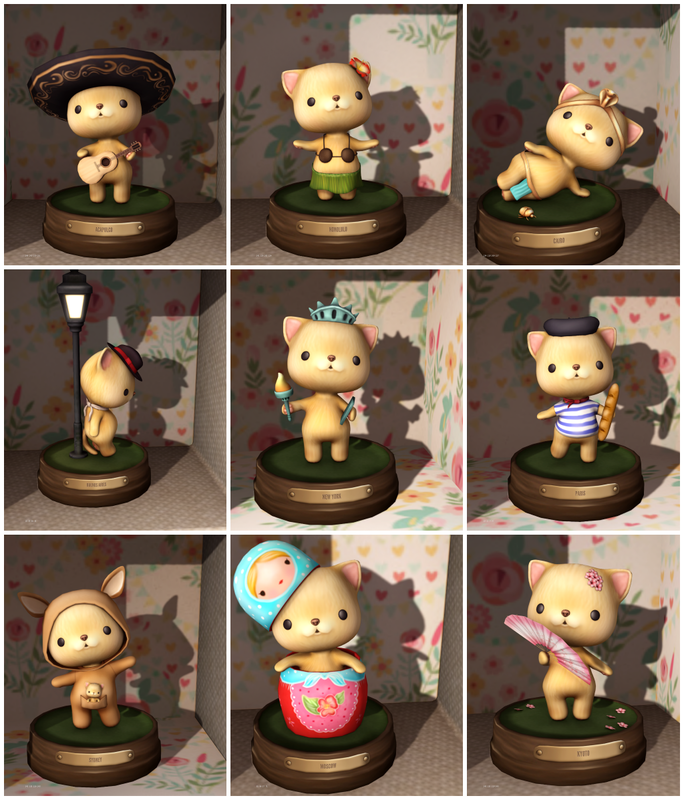 Cuteness comes in the form of MishMish for the Arcade Gacha, which opened on June 1st. I love these little kitties and they will soon find a wall in my home to occupy. The traveler Shelf has four texture options. They are mod and transfer. 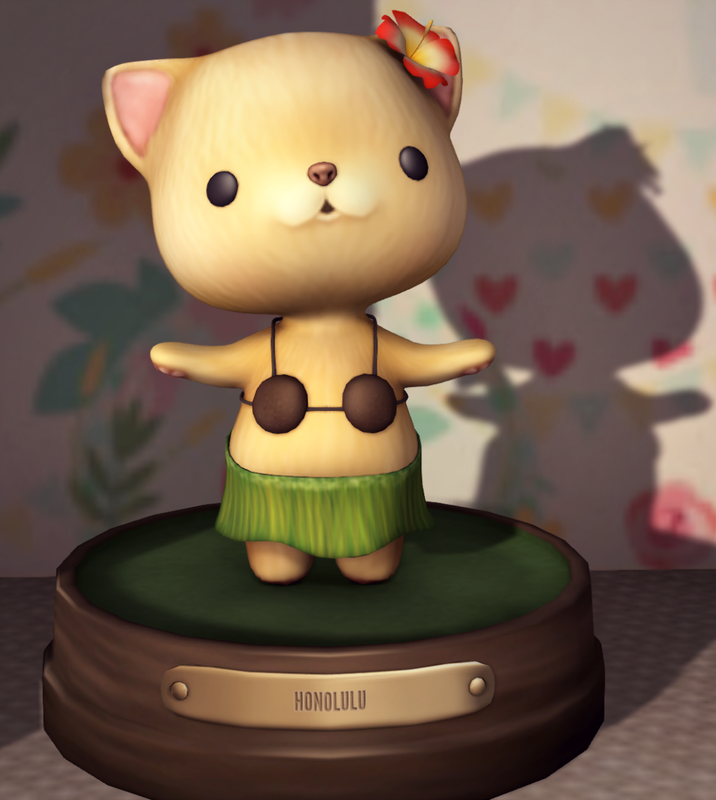 The Traveler Kitty pet is an attachment and will walk with your av! The Traveler Kitty also has blinking eyes, and talks on touch. These are also designer verified to be retired after the Arcade.. so get them now! Enchantment starts on May 1st and there are some changes that you should read up on before heading over there. 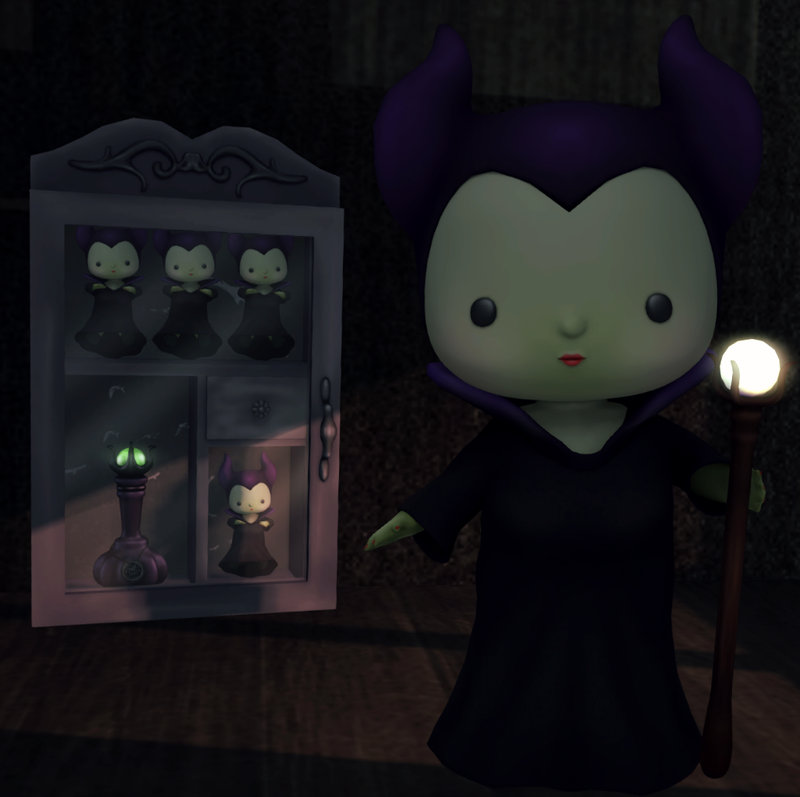 *MishMish* made this adorable avatar, plushie and cabinet. The cabinet is a prize for the stamp rally. What is all that you ask? Once you have purchased one item (or as many as you like from the participating designers), you will wear the card(s). Yes you can wear more than one at a time! Now, once you see the stamp card attached to your body you will go around to EVERY participating store and ‘stamp’ your card. Every designer will have a special stamp machine set up, that all you will have to do is touch it to receive your stamp from that designer! Once your card is full of stamps (again one from every participating designer), you will be directed to the location of the prizes! This is probably my favorite round ever of Collabor88, why you ask? Because its the Fantabulous birthday round and there are around 70 designers – this includes guests, people from the past and its just unbelievable the quality that is put into this and how it all came together. I’m in awe. Happy 2nd Birthday Collabor88! Just about everything that I’m wearing is from Collabor88 – My hair and flapper dress are from Tee*fy and Laviere. My skin is the Katya skin from Glam Affair. My poses are from Exposeur – the set is called Young and Beautiful and I think they are very spirited! My shoes are from Fri.day, my beautiful sparkling jewelry is from Cae – and I did not include the Tiara!!! this post but I will in another soon, and I just feel so pretty! Pretty as a Peacock! The peacocks are from MishMish, btw. They danced with me. You might not know this but Love Donna Flora has items for SL Kids as well as Adults. The poses in this post are from .click, which is one of my favorite family poses stores. Most of the family poses that I use come from .click, as they have a great selection. This is a parent/child pose and it is very cute – my Daughter Ryleigh actually had the idea to put it in our little forest area with this Gacha tent from Floorplan. It worked out very well for an adorable family photo for the both of us.